The pivot positioned on top enables greater accuracy and smooth movement. Aluminium Slimline Channel and rubber held in by screw for easy replacement. 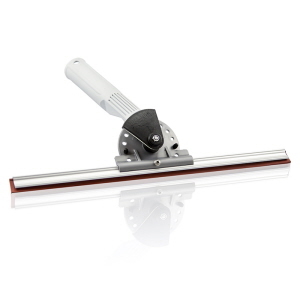 This squeegee only requires a very light touch, relaxed grip and very ergonomic. 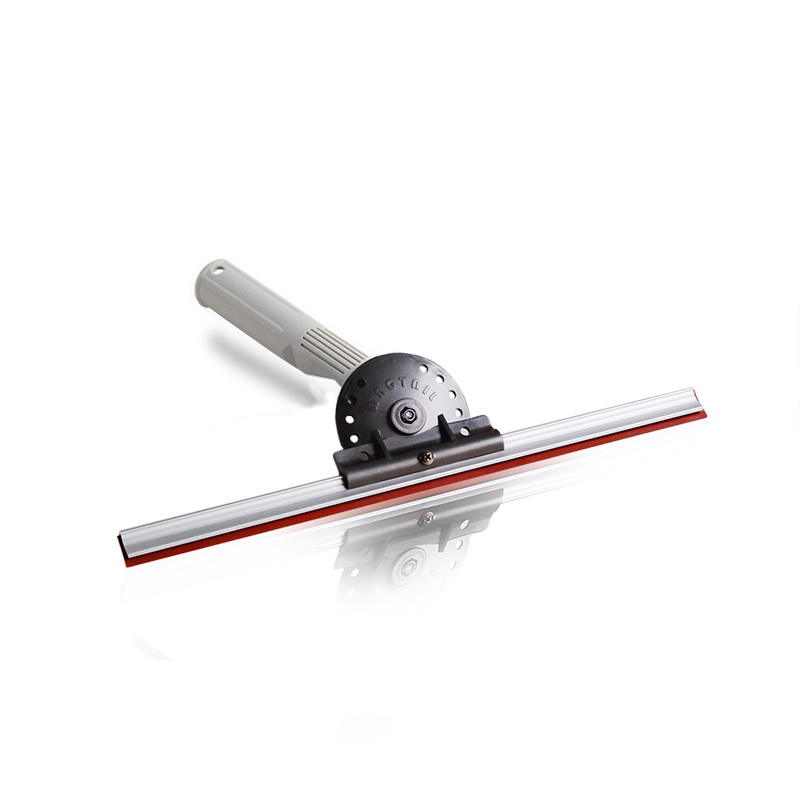 Wagtail Orbital Aluminium Squeegee is faster than conventional squeegees and ergonomic. Great for speedy precision pole work. This squeegee is the professional window cleaner's choice. 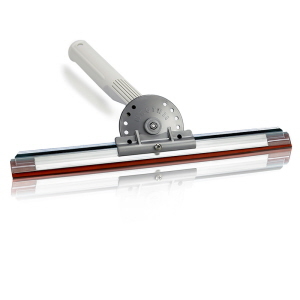 It is lightweight, strong and works beautifully in tandem with the mop. For floor use, attach an angle arm. It includes rubber which is held in with a dimple in the channel. For rubber replacement, simply pull straight out (easier if wet) and dip new rubber in soapy water and pull through. 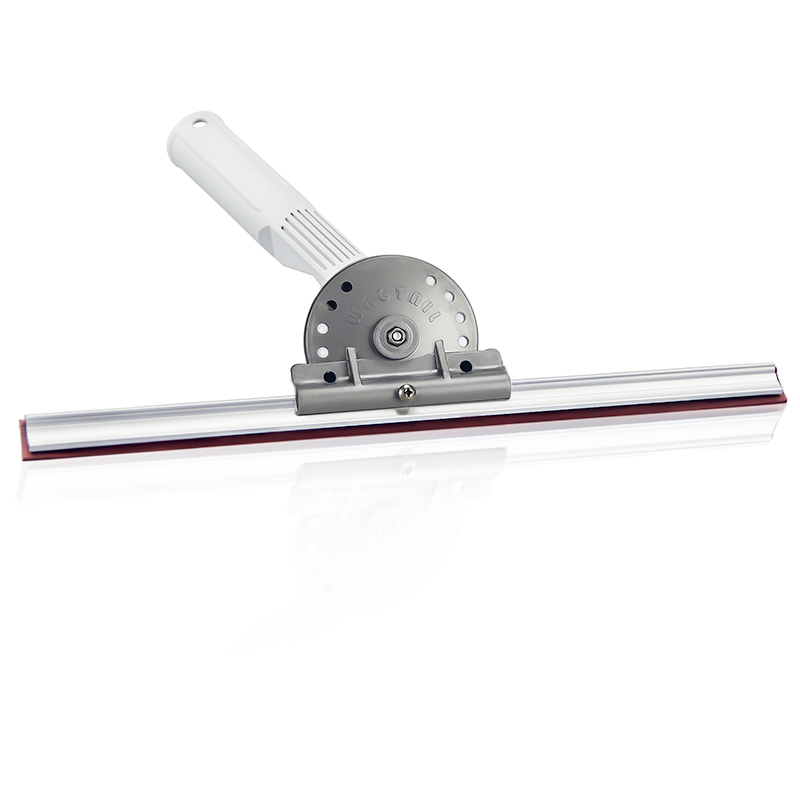 The handle of Orbital Squeegee is riveted to a robust, wider, aluminium channel (not separately sold). 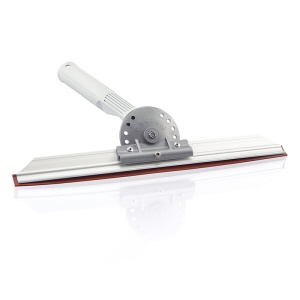 Wagtail Pivoting handled Aluminium Slimline Squeegee with a slim channel. Limiters (locks) sold separately. Lightweight and ergonomic requiring light touch. Very slim profile. Great for a speedy precision pole work and tight spots. Fits into belt buckets. The Handle slides onto the channel and is held in place by a screw. A dimple in the channel holds the rubber for easy replacement (no clips required). No need to remove the screw when changing the rubber. 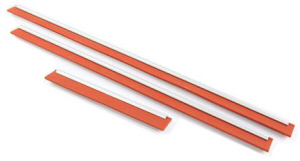 Wagtail Premium Aluminium Channels for Slimline and Pivot Control Squeegees. Channel slides onto handle and is secured by a stainless steel phillips head screw. Renown Wagtail Rubber is included. 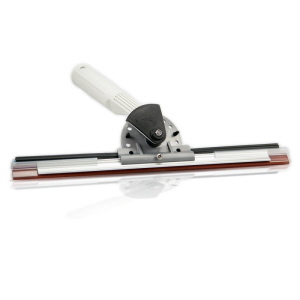 Wagtail Precision Glide Squeegee is a pivot control squeegee with hydration/glide pad and precision detailing end clips. Microfibre glide pad. Constant hydration. Nylon movements. Wing Tips for precision detailing of edges. Wash and wipe in a single swipe. Adjustable locking pin for pivot control. 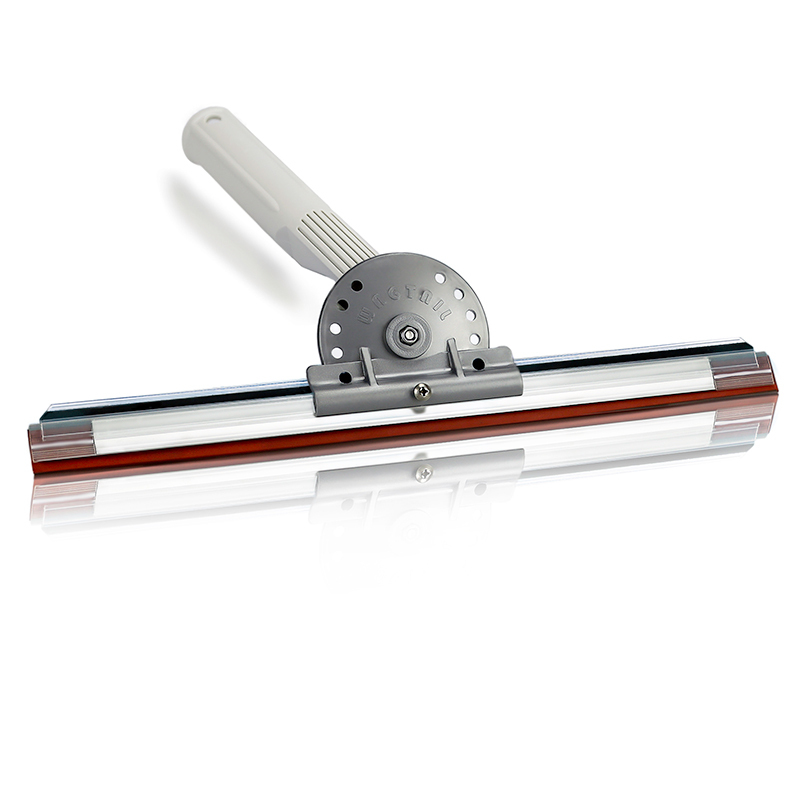 Wagtail Curved Scrubber, a pivoting applicator which is semi-cylindrical. 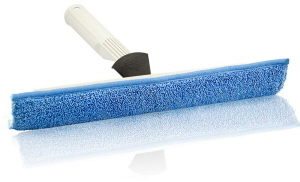 The durable microfibre pad can scrub effectively and can be used by hand or pole. 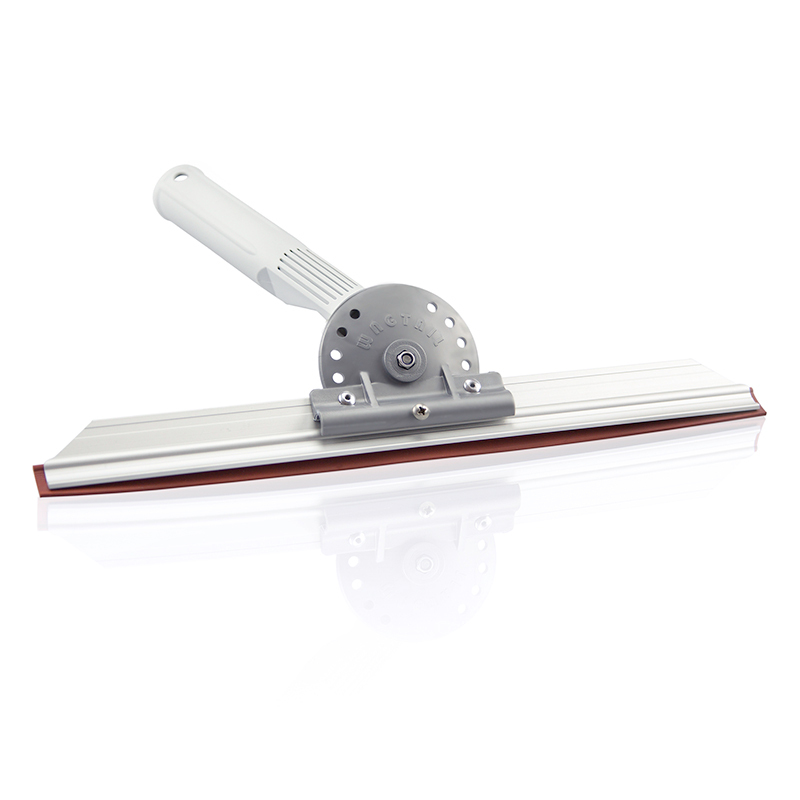 It has the same pivoting action as the Wagtail Squeegees and is the perfect accompaniment when doing double handed window cleaning. Apart from a window mop some other uses are bath, spa, car. 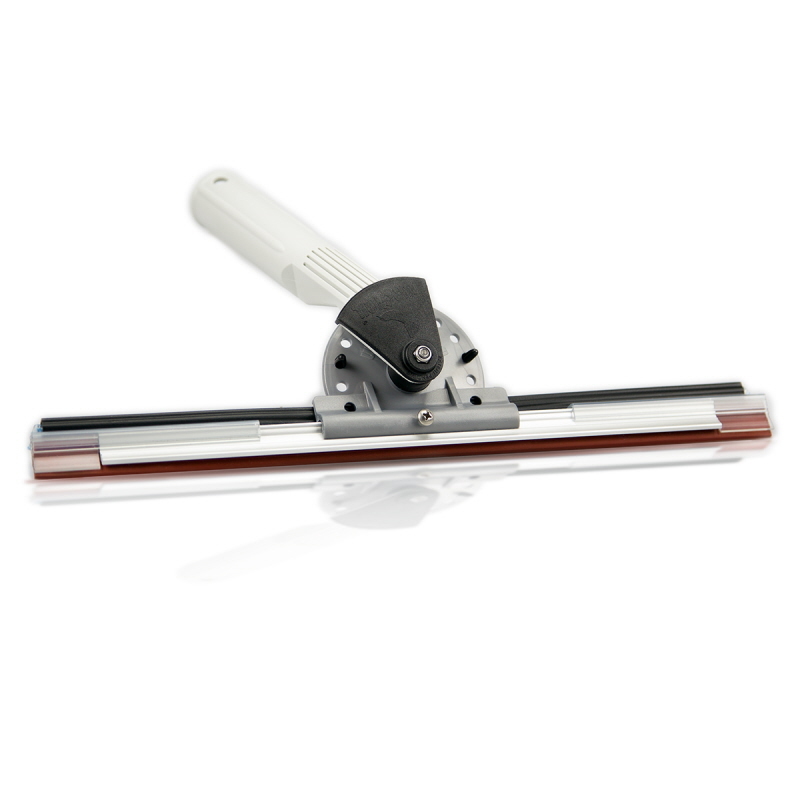 Slimline Pivoting squeegee with hydration/glide pad and precision detailing end clips.